Just over a month ago Dylan and I drove along the Great Ocean Road on our way to Adelaide. It is one of the most scenic coastal drives I have ever been on. 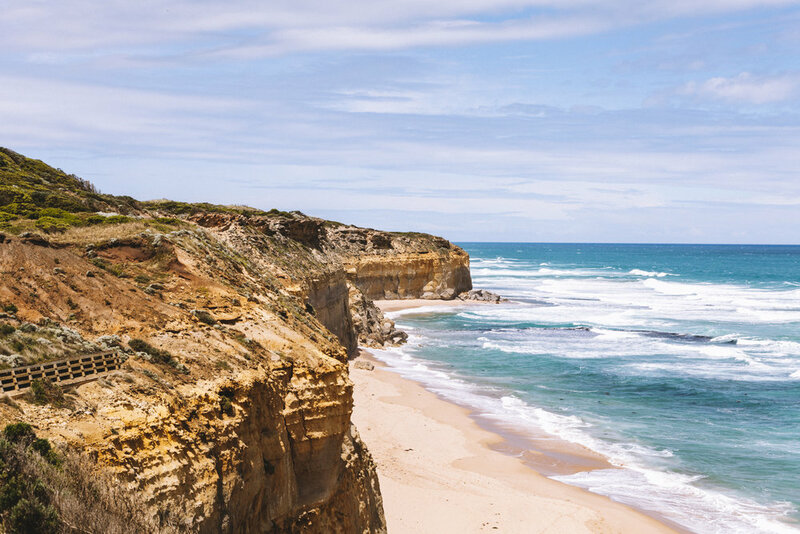 The road itself spans 243 kilometres and runs along the stunning coastline of Victoria’s south-west. The road starts in the eastern coastal town of Torquay and ends in the south western city of Warrnambool. The map on the left has a pin to the location of the Great Ocean Road sign/Memorial Arch (it’s a 30 minute drive from Torquay - BTW there isn’t a lot of parking and there are ALOT of tour buses). People say that the stretch between Lorne and Apollo Bay is the most picturesque section of the Great Ocean Road. 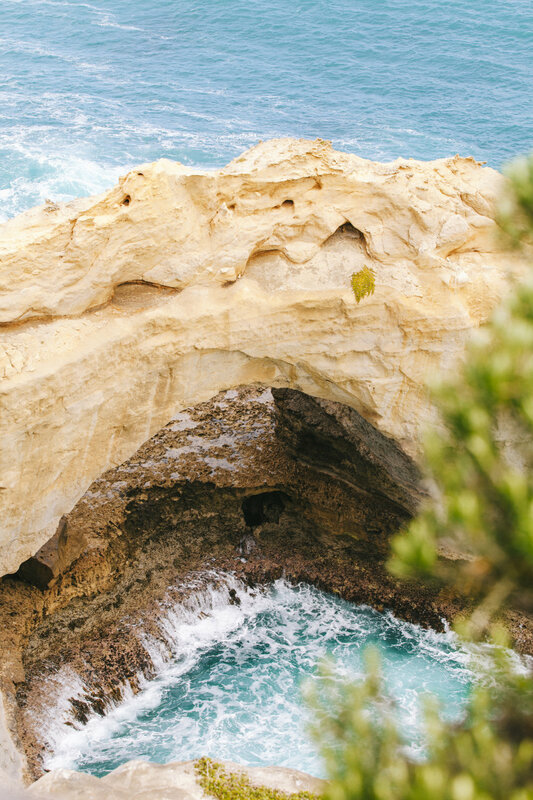 There are numerous scenic lookouts along the road where you can stop to take in the view of huge cliffs with towering rocks and some pretty crazy surf. If the weather was nicer we would have stopped and swam at one of the numerous beaches or little bays that had formed. At the moment there is quite a bit of roadworks happening along the Great Ocean Road as they are improving the quality and safety of the road. They’re also covering some of the huge rocky cliffs you drive past so that the large boulders don’t roll down and cause any damage. Another part we wanted to mention was that there are a lot of tour buses, so don’t be shocked if you end up stuck behind one that is going incredibly slow. Once you reach Apollo Bay the road changes from ocean views to winding through the beautiful centre of the Great Otway National Park. Be so careful on this stretch of road as the turns can be quite sharp and as it is in a rainforest the road can be quite damp, it’s was even worse on a rainy day like we had. 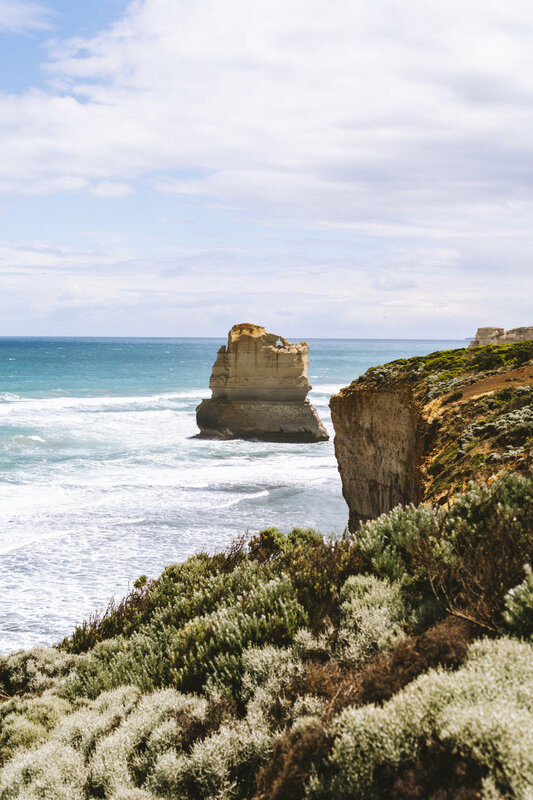 You will be on this drive for about an hour and a half before you come across the famous section of the Great Ocean Road - Port Campbell National Park. 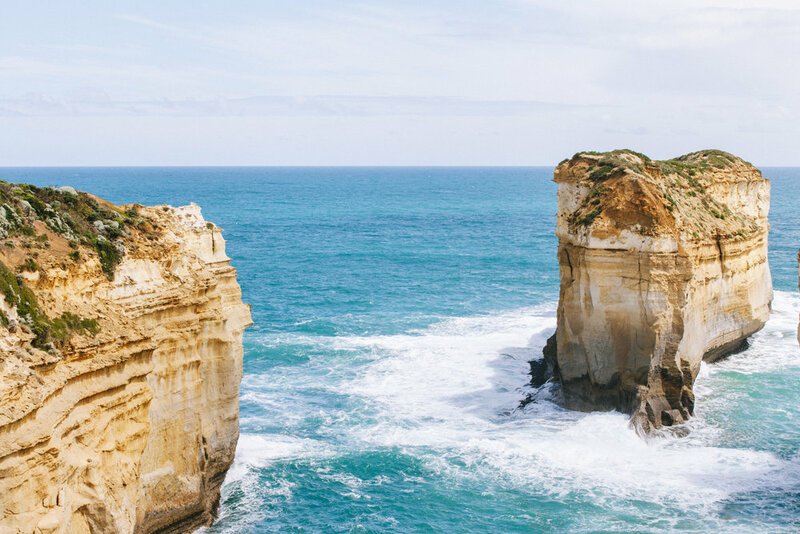 This section features an amazing collection of rock formations such as: 12 Apostles (there isn’t 12 anymore), London Bridge, the Grotto, Loch Ard Gorge, the Razorback and many more. In case you didn’t know, these sites are spread out across a long stretch of road and you drive between them - it would take a while to walk and I’m not sure if there is a path. There are also some beautiful lighthouses you can see along the way. Our first stop was to Split Point Lighthouse at Aireys Inlet which was from the old tv show, Round the Twist. 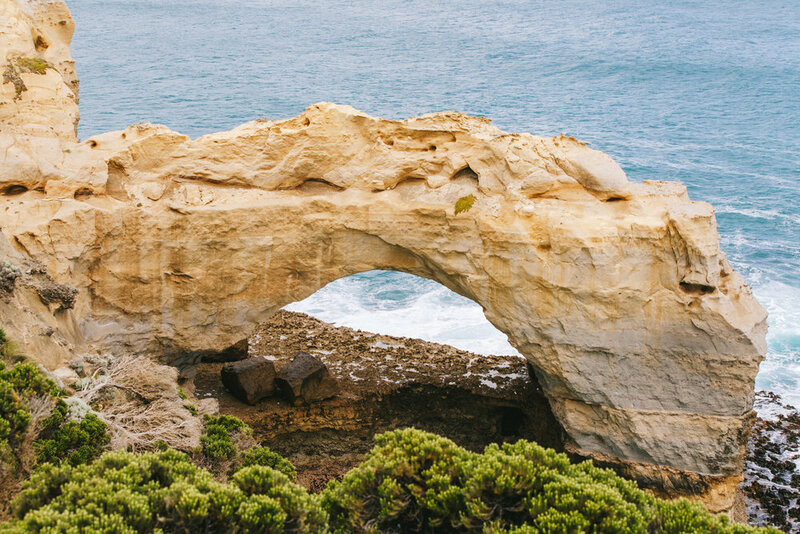 The Great Ocean Road is a trip that we definitely recommend everyone do at least once. 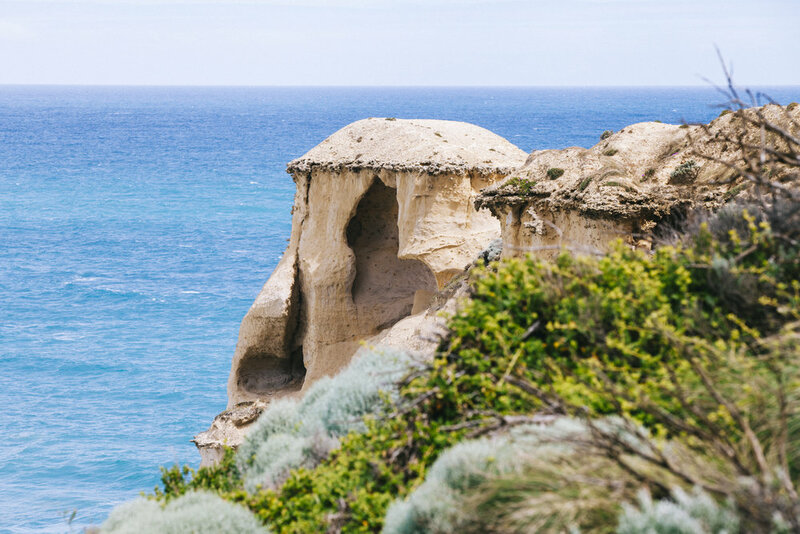 We also would suggest doing it in two days, the Port Campbell National Park can take quite some time as you park and have to walk a few kilometers to see the rock formation.